Designed by Carolyn Kinder International, the Spiral Tabletop Candelabra features turned metal spirals idealized by superior metal craftsmanship. This unique centerpiece appears to be pulled from the pages of an eighteenth century Baroque novel. Dimensions: (39″h x 30″w x 7″); Materials: 70% Iron, 20% Glass, 10% Aluminum; No assembly required. Available to trade professionals at IMAXCorp.com. 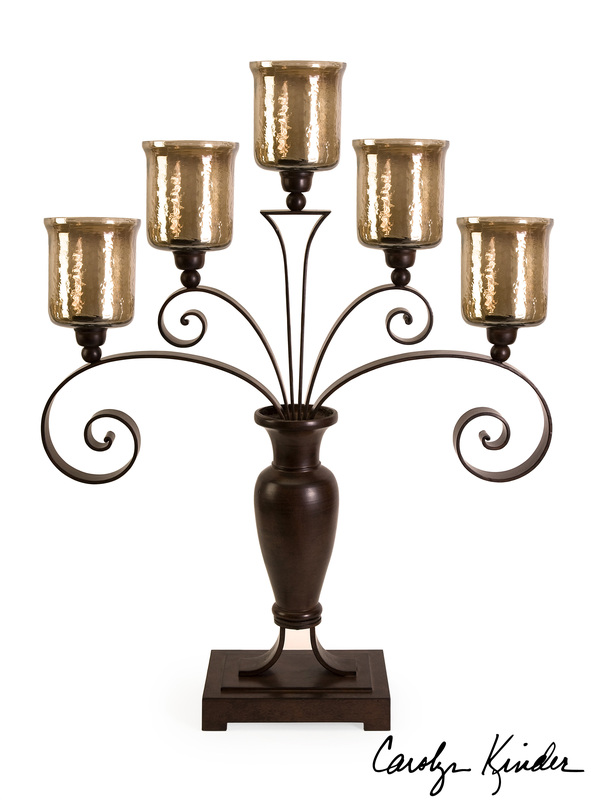 For retail purchase Google search term “Carolyn Kinder Spiral Tabletop Candelabra”.